The colleagues of the Czech Hydrogen and Fuel Cell Platform who joined the EHA in 2008 pulled off an incredible World Hydrogen Technology Conference on the 2017 edition. Over 500 hydrogen and fuel cell specialists enjoyed key notes from Argentina and speakers form Croazia. Ludek Janik, head of the department Nuclear Research Institute Rez plc that the founded the platform and current president Karel Bouzek, were excited about the announcement of the Czech Ministry of Transport on the first day July 10 to double the Czech FCH budget to 7 mln. 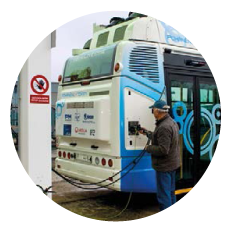 This will help the development of the required network of hydrogen refuelling stations that the Czech Republic will have to develop as part of the inclusion of hydrogen in their national policy framework plan of the EU Alternative Fuels Infrastructure Directive (COM2014/98). Prof. Bouzek indicated that more research is necessary to ensure that systems evolve with developments in regards for example catalysts and H2 impurities research.